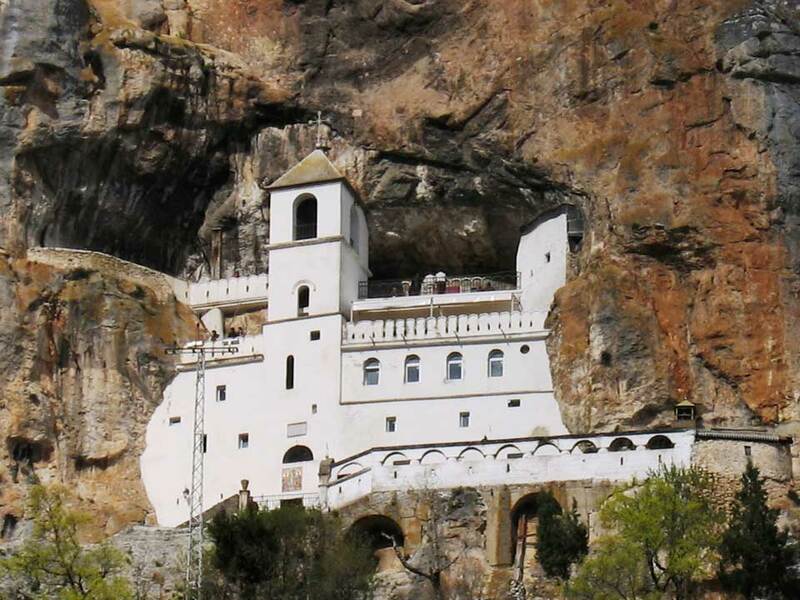 High in mountains next to Niksic, Monastery of Ostrog is located, the biggest Montenegrin pilgrimage place, built in XVII century. In it rest the remains of St Vasilije Ostroski.The holly relics of Saint Basil can be found in the lower church of the upper monastery. 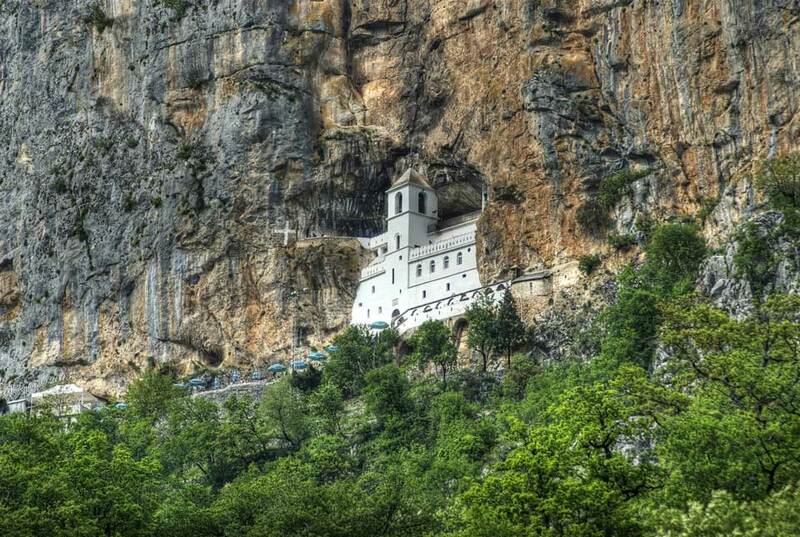 Ostrog Monastery was built by natural and human interaction, carved almost in its entirety in a vertically positioned mountain cliff. There are no many written evidences about the process and time of construction, but looking at it now it is a really amazing piece of human work difficult to imagine being done even today with all modern technology. This monastery, carved in mountain, is high above Bjelopavlici plain. 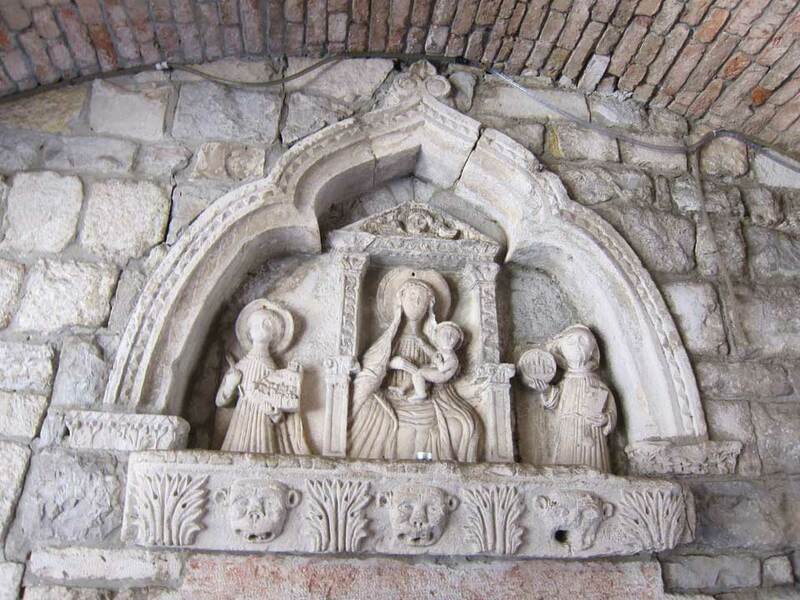 Most impressive part of monastery is Upper Ostog where two small churches are built, upper small church dedicated to Saint Cross and lower dedicated to Presentation of Mary. 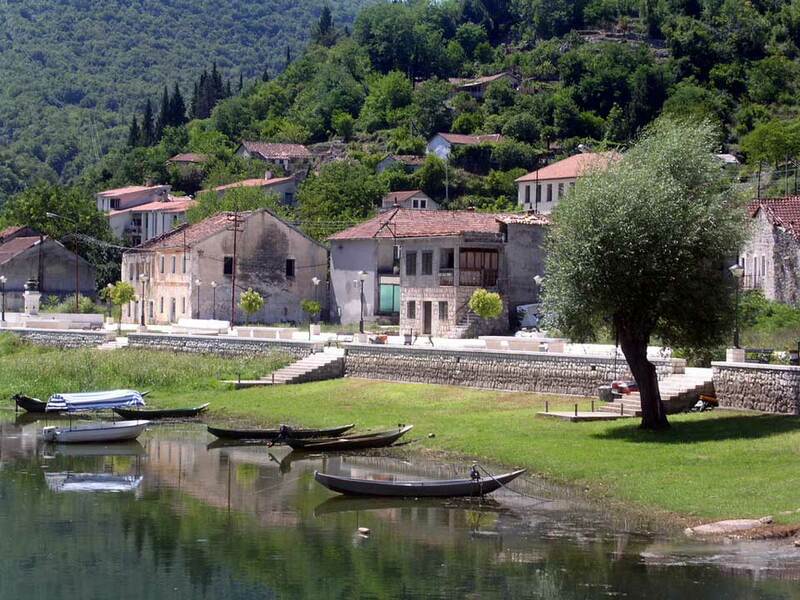 This sanctuary is one of the most visited orthodox pilgrimage sites in the world. 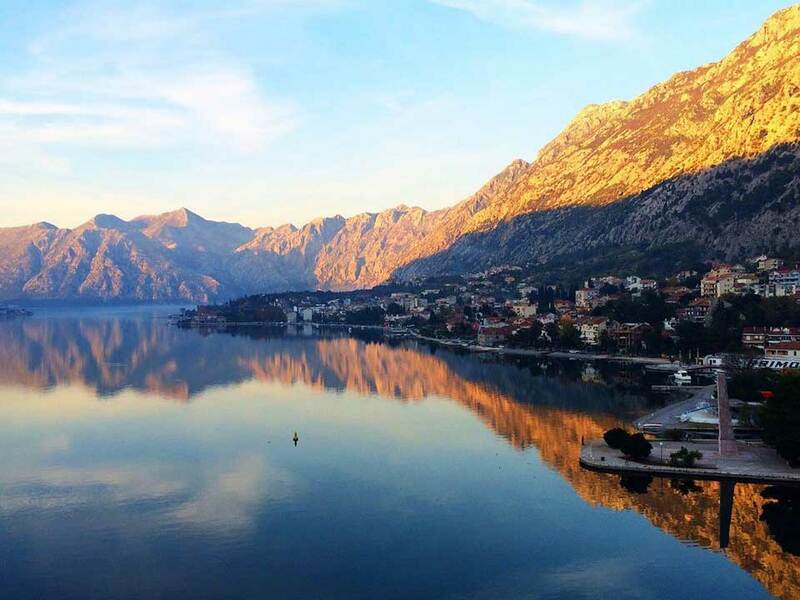 It is a spiritual center of Montenegro and also a place for pilgrims to gather of various faiths and religions of the world. 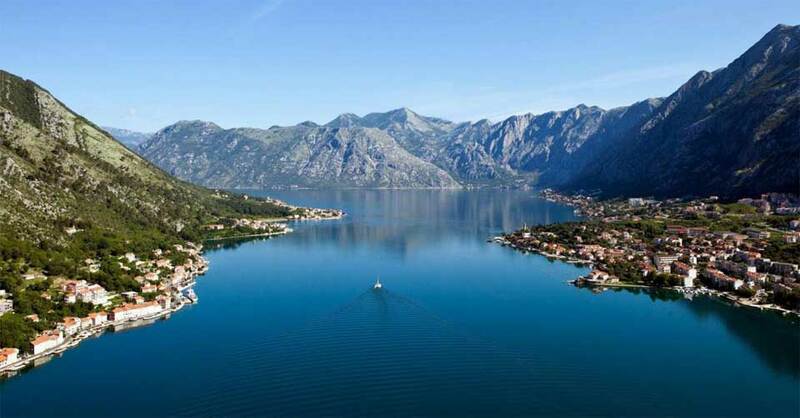 This breathtaking destination will fill your soul with high elevated feelings of devotion and reverence to God. 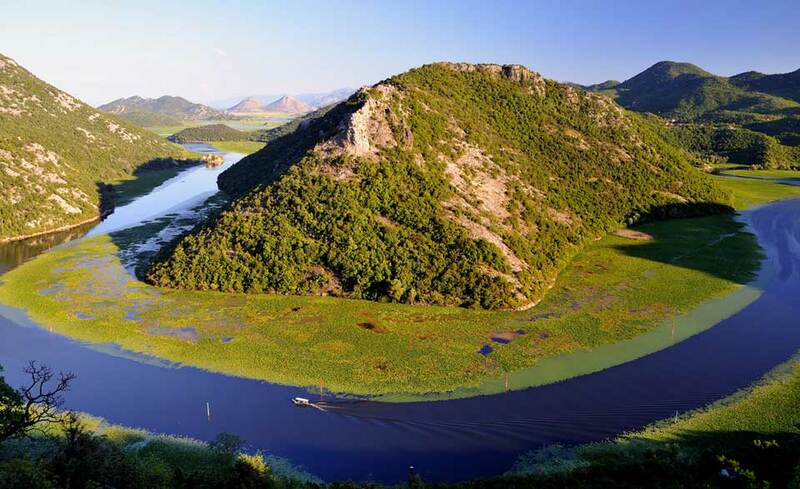 After the monastery visit we will go to Rijeka Crnojevic, our team favorite place, and for sure the most attractive part of Skadar Lake National Park. While visiting Rijeka Crnojevic we will have many photo opportunities as well as a lunch break, a great opportunity to taste most delicious fish soup, fish and wine. 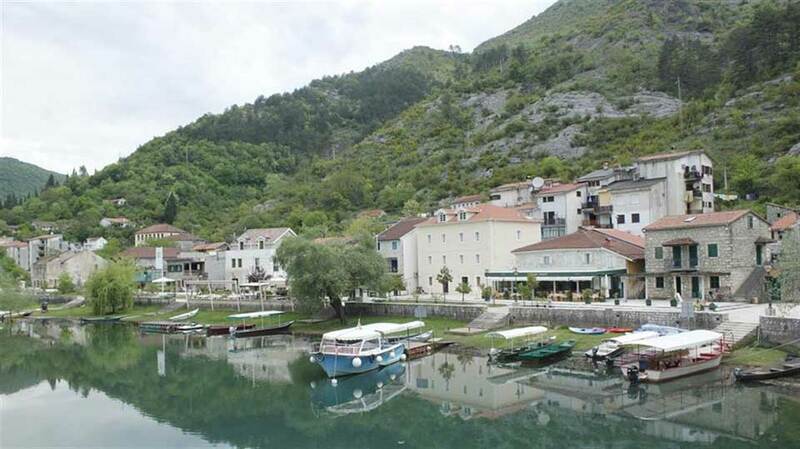 Included in this tour: a licensed English speaking guide, private transportation with a car or van, lunch and drinks, private boat tour in Rijeka Crnojevic (a part of the Skadar lake national park), entrance fee to Skadar lake national park, VAT.